The offseason quarterback transfer carousel is finally slowing down. 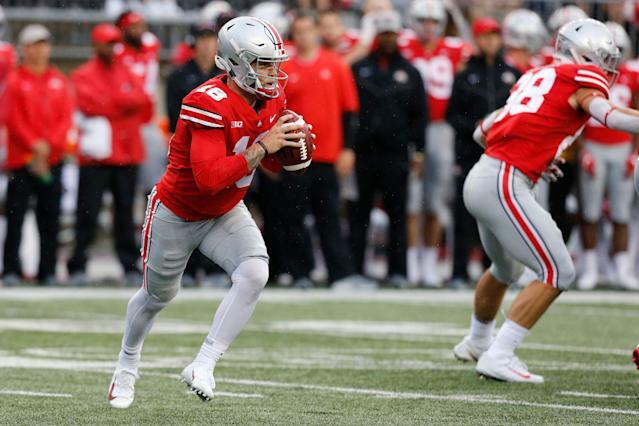 Tuesday, Miami announced that former Ohio State quarterback Tate Martell would be immediately eligible in 2019. With the news that Martell is going to play right away, we figured it was a good opportunity to rank the 10 most impactful quarterback transfers for the 2019 season. It’s hard to complain about getting a former Texas Longhorns starting quarterback when you’re an AAC school. SMU was in the market for a quarterback after Ben Hicks left as a graduate transfer and landed Buechele, who was looking for a new team after Sam Ehlinger further entrenched himself as Texas’ starter in 2018. Buechele will be tasked with leading SMU to just its second bowl appearance since 2012. It helps that leading receiver James Proche (93 catches, 1,199 yards, 12 touchdowns) is returning for his senior season to pair with Reggie Roberson Jr. (52-802-6) for a second straight campaign. The most memorable moments of Chad Morris’ first season at Arkansas were being on the wrong end of North Texas’ awesome punt return and two Razorback players getting suspended for flirting with members of the Mississippi State dance team. But things are trending up ahead of Year 2. Morris brought in an acclaimed recruiting class and now has two graduate transfer quarterbacks on the roster for 2019. 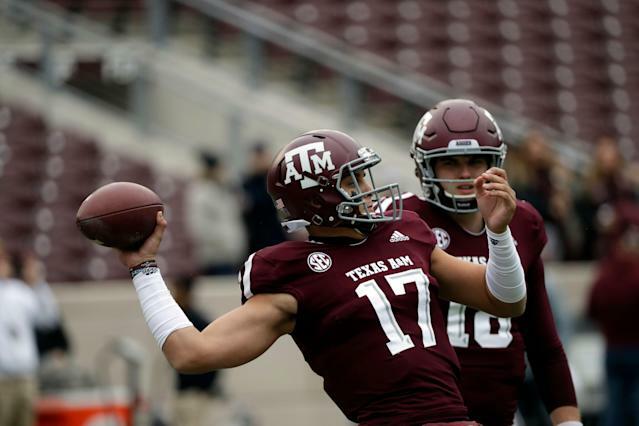 Ben Hicks, after setting records at SMU, has one year remaining while Nick Starkel, a part-time starter in recent years at Texas A&M, has two years to play. Both are upgrades to the black hole that was Arkansas’ QB rotation in 2018. Will Jackson give Maryland some much-needed stability at the quarterback position? New coach Mike Locksley was looking for a transfer quarterback as soon as he got the job with the Terrapins and courted former Alabama quarterback Jalen Hurts. Jackson isn’t a bad consolation prize. He was a productive player at Virginia Tech and had his 2018 cut short thanks to a nasty ankle injury. Jackson threw for 20 touchdowns and completed nearly 60 percent of his passes as a freshman in 2017 and had thrown five touchdowns in 58 attempts in 2018. Maryland is in a loaded Big Ten, but Jackson is the best quarterback the school has had in years. Jackson is expected to be immediately eligible after graduating in the spring. Has a five-star recruit ever suited up for the Northwestern Wildcats? With Clayton Thorson off to the NFL, Clemson transfer Hunter Johnson is poised to take the reins as the starting QB in Evanston. Northwestern is fresh off a Big Ten West title, and could find itself near the top of the division yet again with Johnson in tow. 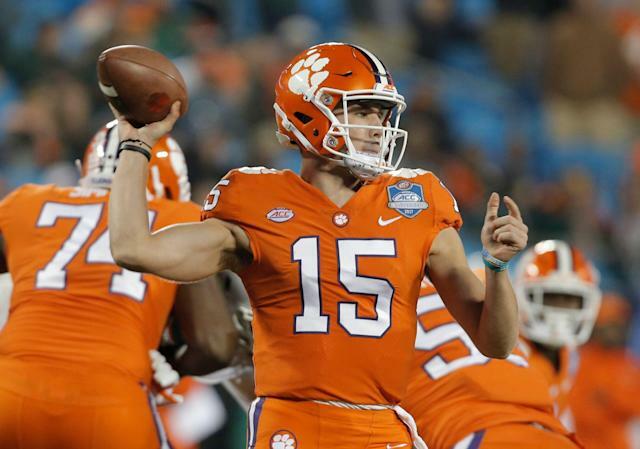 Johnson, a native of Indiana, fell behind Trevor Lawrence and Kelly Bryant on the depth chart at Clemson and quickly turned his sights toward the Big Ten after deciding to transfer. His brother played for Pat Fitzgerald, so Northwestern became a comfortable choice. The Wildcats are happy to have him. Bryant’s arrival at Missouri would have been in the top five of this list if not for Missouri’s bowl ban. But the Tigers have been prevented from playing in the postseason in 2019 by the NCAA after an investigation into coursework done for athletes by a tutor. Bryant and other Missouri seniors are free to transfer away from the program. But Bryant is committed and no one, as of now, has left, perhaps hoping for Missouri’s appeal to be successful. Bryant won’t be the passer that Drew Lock was in his four years with the Tigers. But he’s a very capable quarterback in an offensive system that got more aggressive with quarterback runs as the 2018 season went on. Missouri could and should win eight games again in 2019. With McKenzie Milton almost assuredly sidelined for 2019, UCF became a nice landing spot for Brandon Wimbush. Wimbush was Notre Dame’s starting quarterback for all of 2017 and to begin the 2018 season, but was benched in favor of Ian Book. Wimbush has thrown for 2,606 yards and 20 touchdowns in his career, but has just a 50.5 completion percentage. But he is very dangerous with his legs (1,156 yards, 16 TDs) and should be able to step in for the Knights as long as he beats out Darriel Mack Jr., who started when Milton went down with a serious injury. With just one loss over the last two years, UCF has the potential to keep its place in the national conversation for a third straight year with a talent like Wimbush at QB. Wimbush was one of the country’s top QB recruits in 2015. A lot of things went wrong for Miami in 2018 including the team’s quarterback play. After Malik Rosier threw for over 3,000 yards and 26 TDs with the help of a defense that generated a ton of turnovers, Rosier and N’Kosi Perry combined to throw seven fewer touchdowns in 2018 while throwing the same number of interceptions (14) that Rosier threw the season before. Enter Ohio State transfer Tate Martell, who will be the favorite to start in Manny Diaz’s first season as head coach. The former defensive coordinator replaces Mark Richt and has overhauled the offensive coaching staff. Richt’s son Jon is out as the team’s QBs coach and former Alabama assistant Dan Enos is the team’s new offensive coordinator and QBs coach. Miami’s defense has a bunch of talent so Martell, who left OSU after Justin Fields landed in Columbus, doesn’t have to be the team’s savior in 2019. He just has to be competent. Remember this guy? Jacob Eason was a five-star recruit in 2016 and quickly became Georgia’s starting quarterback. But after going down with a knee injury in Week 1 of 2017, Jake Fromm became entrenched as UGA’s starter. That prompted a move for Eason back to his home state of Washington. And with four-year starter Jake Browning off to the NFL, Eason is the favorite to slide into the QB1 role for the Huskies. Washington did not quite meet expectations last year, but still managed to take home a Pac-12 title and play in the Rose Bowl. 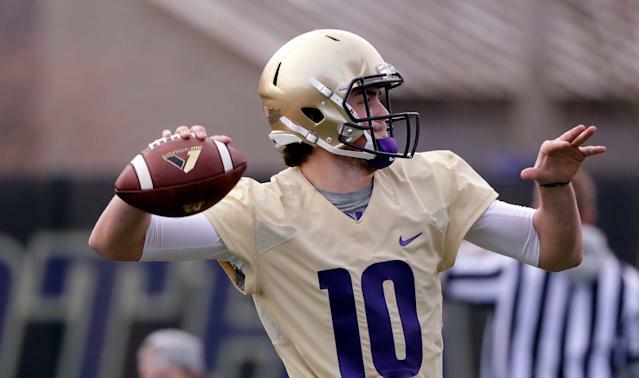 With Eason under center, perhaps the Huskies can make a leap back into the College Football Playoff picture. No pressure Justin, all you have to do is follow a quarterback who set a ton of Ohio State passing records in his first season as a starting quarterback. Fields joined Trevor Lawrence as one of the top quarterback recruits in the class of 2018. But unlike Lawrence, who unseated Kelly Bryant as his team’s starter, Fields was stuck behind Jake Fromm — himself a quarterback who took a team to a national championship appearance as a freshman. Now Fields, who was granted immediate eligibility, will have a big chance to show why he was rated alongside Lawrence coming out of high school. While it’s crazy to think he’ll match the passing stats that Dwayne Haskins put up in 2018, he should be a handful in the running game along with running back J.K. Dobbins. Ohio State’s offense will look different in 2019, but it should still be exceptionally productive. Oklahoma has another transfer at quarterback in 2019. The last two — Kyler Murray and Baker Mayfield — did pretty well. You may have heard of them. You know the new guy, too. Jalen Hurts’ time at Alabama has been well-documented. He was the SEC Player of the Year as a true freshman, but Alabama lost to Clemson in the national championship. He led the Tide to another title game as a sophomore, but was benched at halftime for poor play. The man he was benched for, Tua Tagovailoa, beat him out as the starter in 2018, prompting Hurts’ expected transfer. At Oklahoma, Hurts gets to run Lincoln Riley’s high-powered offense and compete for another national championship. It’s going to be fun to watch.